В Ubuntu 10.10 будет добавлена поддержка multitouch-устройств, таких как: Dell XT2 Tablet, Apple Magic TrackPad и 3M/N-Trig. Разработка Canonical не базируется на проприетарной технологии Synaptics Gesture Suite или какой-либо FOSS разработке. Также стоит заметить, что поддержка multitouch должна быть как со стороны Linux-ядра, так и со стороны X-сервера и GTK+. Более подробно с проектом можно ознакомиться на launchpad.net. By now, you have probably seen the story on the Dot. The stable version of KMyMoney for KDE4 is out the door. As usual, we had some last minute rushes, but nothing serious. The code has gone through more testing than ever and we restricted the changes in the last weeks to make sure we wouldn't be bitten by a last-minute change. Alexander Neundorf: Looking for an exciting Qt-related job in HPC ? We need people working on the user interface (that's where Qt comes into play), the algorithms, optimizations, communication, etc. You'll be working in team of experts from different fields, from Mathematics over Geophysics to Computer Science. lowlevel stuff like SSE, NUMA, etc. Now in its third year, Spousetivities is a grassroots, community-driven effort to provide activities for conference attendees’ spouses. While the attendees are at VMworld during the day, their spouses are invited to explore and enjoy San Francisco and the surrounding Bay Area. Don't miss this opportunity to join these fantastic bay area adventures. Visit the Spousetivities registration page to register for a free Spousetivities Welcome Breakfast on August 30. A quick update on what’s been happening deep down the bunkers of KStars. GSoC student Harry de Valence has been very successful in getting a working OpenGL-rendered skymap. While we still don’t use GL goodness for things like atmosphere simulation, light-pollution simulation, cool animated graphics as yet at the end of this GSoC, the GL version is much faster. In the process, Harry had to clean up a lot of old KStars code — he has a shiny new class to handle sky map projections in a clean manner, for instance. This has solved a good deal of really annoying bugs that were plaguing KStars since quite long. You could check out his branch at branches/kstars/hdevalence if you’re interested. Сегодня проекту Debian исполняется 17 лет. Сегодня проекту одного из старейших и популярнейших GNU/Linux-дистрибутивов — Debian — исполняется 17 лет.Дистрибутив Debian GNU/Linux был представлен Яном Мердоком (Ian Murdock) в почтовой рассылке comp.os.linux.development ровно 17 лет назад (16 августа 1993 года). Тогда в своем анонсе Ян пытался объяснить, чем Debian будет лучше существовавшего на тот момент дистрибутива SLS. И за минувшие годы проект Debian добился действительно больших высот.Цифры прошедших лет: 14 релизов; 11 конференций; 12 архитектур; 117 мэйнтейнеров; 873 разработчика; сотни помощников; более 40000 пакетов; десятки производных; миллионы пользователей. Выразить благодарность проекту от всего сердца можно на сайте thank.debian.net. I would like to start by extending an apology to You-Know-Who-You-Are . Even though your coding style prompted me to revisit it, I have been pondering this issue for some time now. It was only when I went back to the text books to read up on it that I finally understood how to describe this in accessible terms. Take solace in the fact that the “you” above is the plural form . Prefer using the form “T t(u)” over “T t = u” for variable initialisation. While I was away from OSNews, FreeBSD 8.1 was released . Nobody posted it on OSNews, so here I am, a little late . KMid2 plays MIDI and karaoke files to hardware MIDI devices or software synthesizers. Место проведения официальной части — Большая Физическая аудитория ОНУ (Пастера, 27), неофициальной — скалодром альпклуба «Одесса». До 12 сентября участники могут подать свои тезисы докладов, блиц-докладов или мастер-классов в одну из секций конференции: введение в тематику свободного/открытого ПО; свободное/открытое ПО в образовании и науке; решения свободного/открытого ПО для государственного и общественного секторов; решения свободного/открытого ПО для бизнес-сектора; аппаратные решения на базе свободного/открытого ПО; взаимодействие разработчиков и пользователей свободного/открытого ПО; научные проекты с применением свободного/открытого ПО; свободное/открытое ПО в Web-пространстве; высокопроизводительные системы и кластера. Приглашаем спонсоров. Поддержка мероприятия будет интересна компаниям, желающим сотрудничать с квалифицированными специалистами в области открытых технологий, а также компаниям, поддерживающим и развивающим свободное/открытое программное обеспечение в Украине. Независимо от того, какое качество пакета, нет пути для в хода KDE 4.5.0 в Squeeze. Даже 4.4.5 должны оставаться в unstable до релиза Squeeze. Только экспериментальная ветка полностью открыта для нового ПО. KDE reaches out to another device form factor. Plasma's plugin-based design is at work again, after launching KDE special netbook interface. I've been fascinated by the Oracle attack on Google's Android. I don't follow sport and just couldn't understand why so many people were getting excited about the World Cup at Akademy. But to me these epic disputes are a great spectator sport, as well as an opportunity to participate individually. The trouble is that it is all a bit slow, even slower than cricket - if it is like the SCO vs Linus train wreck, it could take up to five years to be resolved. This evening I’ve been playing a bit with Flattr. Flattr gives you the opportunity to do micro-donations to blogs, articles or projects you like. When you do that, in return, you can also receive Flattrs. Say you want to donate 5 euro each month to projects you care about. Paypal could be used if they have a donate button, but that’s kind of an annoying system to use for this type of donations. Flattr makes donating easy. When you see a Flattr button next to an article you like, you can press it. It counts as one ‘click’.At the end of the month your 5 euro will be divided by all articles or projects you gave a click to. If you clicked 5 times on such a button, each will get 1 euro. When say 20 different people did that, the author could receive a nice, flattering, amount of money. Yesterday I finally upgraded my Kdemod setup to 4.5.0. First of all, it rocks! Second, we hit a nasty problem in KMyMoney that might have delayed the whole release tomorrow. KMyMoney took over 2 minutes to start after the upgrade. Normally, it took 2 seconds. Also, it was using 10 times the amount of RAM. Planet KDE is your insight into the lives and activities of KDE, a community making lovely free software. Occationally I get asked to add feeds to Planet KDE which aren't KDE contributor blogs. News feeds, user blogs and non-English blogs are the usual requests. So today, thanks to the helps of others, I've updated our software and added opt-in support for these different types of feeds. Just click the configure button at the top of the page. If you have a KDE project news feed (including KDE related distro news), a KDE user blog, or a KDE blog in Spanish or another language do file a bug or add it yourself to the feed (it's in svn) with the new define_feedclass attribute. I also updated the software to Rawdog 2.12 which should help keep the memory usage on the server down. Thanks to Ade, Stuart and Kurt for helping with various bits. There is not much time to work on KSudoku recently. But I think I found the reason why generating some puzzles takes forever. And maybe it will benefit from an idea that might also improve difficulty of the puzzles. At the moment I'm relocating. I'm moving to my first own apartment together with my girlfriend. Until now I stayed with friends or lived in dorms. So I'm looking forward to how it will be. At the same time there is much work to do at my job as we are approaching the release of our project. And the begin of writing my bachelor thesis is approaching. 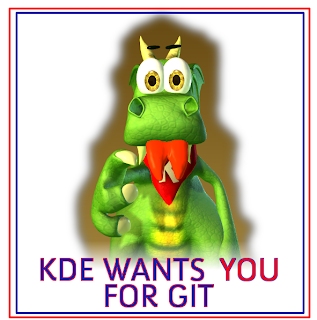 So not much time left for developing on KDE. KSudoku is currently hardly of any use. Games are much to easy to solve and some games couldn't be even generated. The reason for freezing during generation of Jigsaw-puzzles is a rather simple one. And very hard to solve at the same time. While I'm in the mood for posting solutions to technical problems, here's another. I have a OBD interface cable for my VW Bora so that I can run a piece of software called VCDS (sometimes known as VAG-COM) and read the error codes from my car's ECU. However, when I plug in the cable (it's the USB version), it is usually assigned to COM7. Unfortunately, the VCDS programme only supports COM1-4. Weirdly, the solution for me is to plug the cable in and run VCDS settings. If I choose COM3 then it successfully detects a COM port - I think it's used by the built in model. I save the settings, and then bring up the Device Manager and change the port used by the interface cable to COM3. It says the port is already in use, but lets you change it anyway. Then I just use the VCDS software and it works. This seems completely wrong, and to be honest, I'm sure there's probably a better way of doing it than this, but at least it works. Генерация: 0.252 сек. и 40 запросов к базе данных за 0.153 сек.